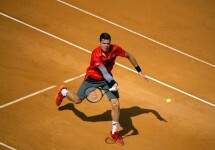 An enthralling quarter-final clash is slotted to take place on Friday afternoon at the Mutua Madrid Open, as world No. 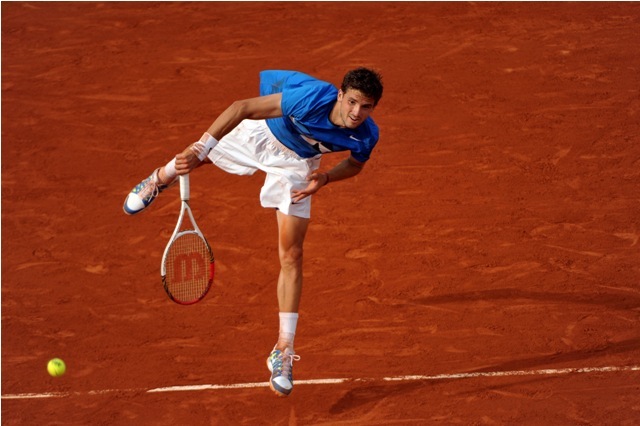 1 Rafael Nadal and Bulgarian talent Grigor Dimitrov meet for a spot in the final four of the Masters 1000 event. This will mark their first meeting on the tour this season. The Nadal vs Dimitrov head-to-head series stands at 5-0, including a win for the Spaniard on clay in 2013. Seeded third at this year’s event, multi-time champion Rafael Nadal advanced to the quarter-final stage of the tournament with a straight sets win against Simone Bolelli. He defeated his Italian adversary 6-2, 6-2, in a match where he struck two aces, won 76% of his first service points, and saved both break points faced during the match. He eventually brought an end to the proceedings in 62 minutes of court time. The Spaniard will next encounter Grigor Dimitrov, who had a longer match in his ousting of Stan Wawrinka on Thursday afternoon. He withstood seven aces, won 79% of his first service points and saved 10 of 12 break points to close out the match 7-6(5), 3-6, 6-3 in two hours of court time. While these two competitors have crossed paths on five previous occasions, this is set to be their first encounter on the tour in 2015. Nadal leads the head-to-head series 5-0, including a win on clay in 2013. However, while Nadal holds an unblemished record against Dimitrov, he is currently at his most inconsistent in recent memory and that could make for an exceptionally entertaining match.